The Seahawks are back at home for the first time in four weeks. After their thrilling win in Chicago last weekend, the Seahawks are looking to gain momentum and trying to further strengthen their playoff chances. 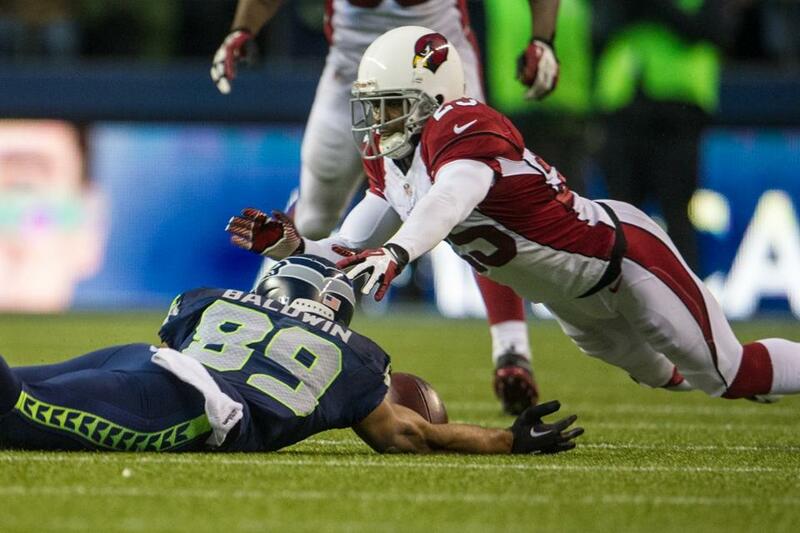 This week, the Seahawks host the Arizona Cardinals. After getting off to a strong 4-0 start, the Cardinals have lost their last 8 games in a row. At 4-8, the Cardinals are now looking towards the 2013 NFL draft but are also looking to play spoiler for the rest of this season. 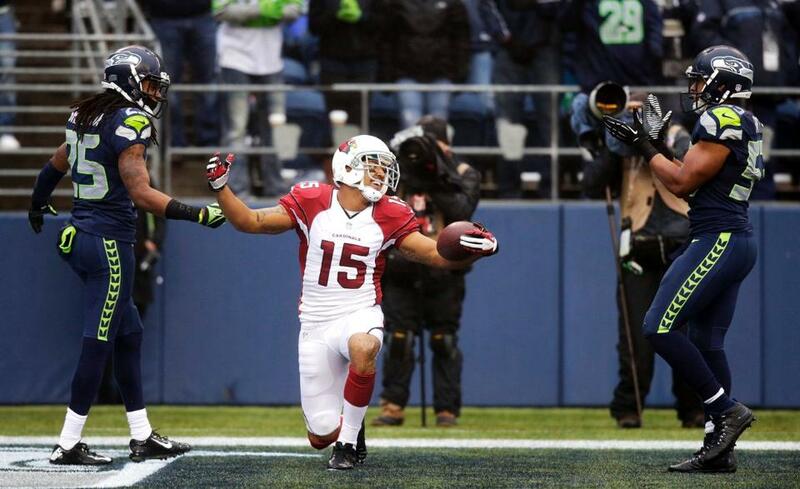 The Cardinals franchise leads the all-time series with the Seahawks 15-12. In their last meeting in week one of this season, the Cardinals beat the Seahawks 20-16 after the Seahawks offense was unable to get into the endzone after four attempts inside the 5-yard line. Here is what I’m looking for in this week’s game. After his best performance of the season against Chicago last week, Russell Wilson is primed to have another big game this week. However, the reason why I think this is because he will have a big game on the ground rather than through the air. 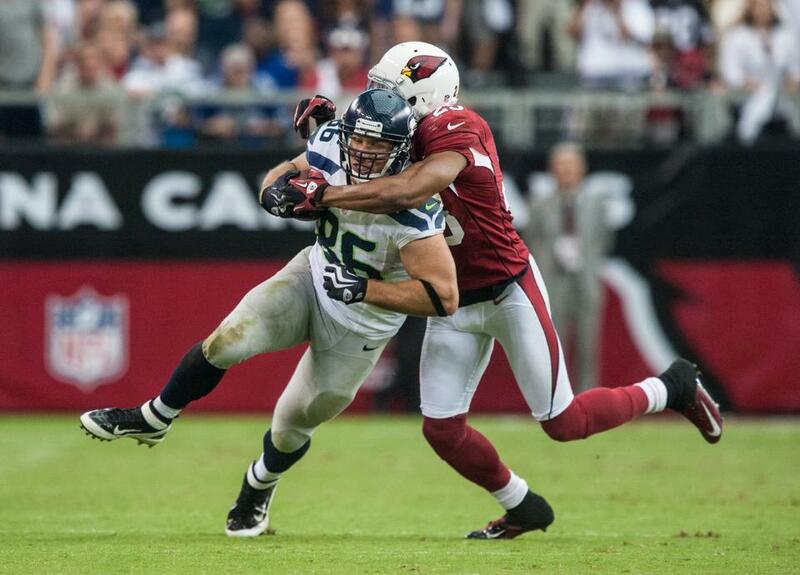 The Arizona Cardinals have the third best pass defense in the league, giving up an average of 196 yards per game. The Seahawks perfected the zone-read option last week so I would expect to see a lot of it ran this week as well. Through 5 home games this season, Wilson has yet to throw an interception. He is going up against a very talented secondary this week and I think the key to limiting potential turnovers is throwing a lot of short to moderate throws. It would not surprise me to see Wilson test Patrick Peterson and Kerry Rhodes, but to be safe it may be in the Seahawks and Wilson’s best interest to keep passing plays short and simple, thus eating away clock when we convert. Marshawn Lynch will be a big factor in chewing clock this week. I hope to see Beast Mode run for over 100 yards and have a touchdown this week. Also, this is the first time in Russell Wilson’s career that he has played the same team twice in the same season. His preparation for this game matched with the analysis of the previous game against the Cardinals makes me feel very comfortable that he will know how to play them much better this time around. On defense this week, I am very confident we can shut the explicitly inept Arizona offense down but there are two big things to note. First, Brandon Browner will not be available this week and for the rest of the regular season as he is serving his 4-game suspension for testing positive for Adderall. Walter Thurmond is expected to start this week at cornerback and will most likely line up against Cardinals receiver Andre Roberts. I believe Thurmond will do an adequate job holding down Browner’s spot this week. Also, the Seahawks need to make sure they do not come out overconfident this week. The last thing we need is a letdown this week coming off the Chicago win last week. A similar set of games to look at is the Packers game in week 3 and the Rams game in week 4. After beating Green Bay, the Seahawks I think may have felt overconfident against St. Louis the next week. They did not perform like they could and it cost us a game. This week at home, I think the Seahawks will make sure there will be no letdown. The biggest key on defense this week is the pass rush. On paper, this should be no problem as Arizona boasts one of the worst offensive lines in the league and have given up 48 sacks this season, an average of 4 per game. The pass rush has been a big problem the last couple of weeks but since we are back at home this weekend, I would not be surprised to see Chris Clemons, and Bobby Wagner go to town this week. If we can put increased pressure on John Skelton this week, the Seahawks will be in great shape. The Arizona Cardinals come into this week’s game on a real slide. The Cardinals have not won since September 30th, losing their last 8 games. This week on offense, Arizona will start John Skelton at quarterback. The Cardinals started rookie quarterback Ryan Lindley the last two weeks but after last week’s 7-6 loss to the New York Jets, head coach Ken Whisenhunt believes Skelton gives the Cardinals the best chance to win in a hostile environment like CenturyLink Field. Skelton has experience playing in Seattle but has never won here. In their first meeting, Skelton looked good before getting hurt in the fourth quarter. He only threw for 149 yards in week one, but he only committed one turnover, an interception to Richard Sherman along the sideline. 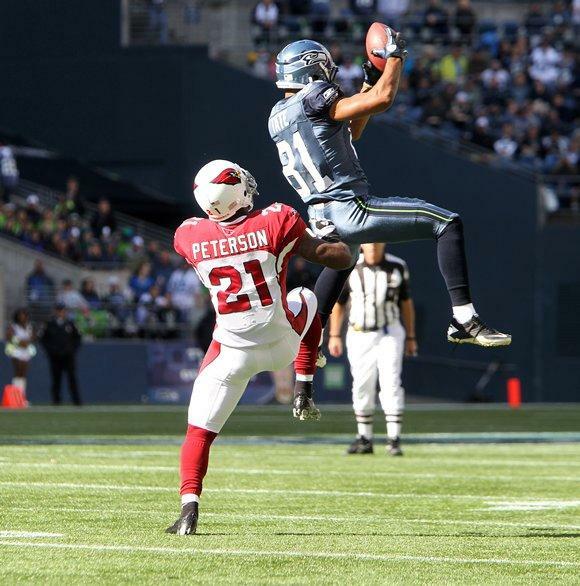 Larry Fitzgerald needs to attract the attention of the Seahawks secondary. No matter how good or bad Arizona seems to play, Fitzgerald always has an impact, especially in Seattle. Fitzgerald has not been putting up good numbers recently; something that hopefully continues this week. On defense, the Arizona Cardinals have some of the best secondary talent in the league. Patrick Peterson, Kerry Rhodes, and Adrian Wilson are all having decent seasons and all are tremendous ball hawks. This is the reason why I discussed how it might be in Russell Wilson’s favor to keep passes short this week. The Cardinals have forced 11 total turnovers in their last 3 games but because of their offense they have been unable to close out those games. The Seahawks must protect the ball this week because this Cardinals secondary will make you pay for it. Another emerging storyline is the role defensive tackle Darnell Dockett will play for Arizona this week. After getting into a scuffle with Kerry Rhodes last week in New York, Dockett has been fined a “six-figure” amount by the Cardinals organization and his playing status is up in the air. Dockett may be only used this week in a limited role. If this is the case this would be a huge blow for Arizona’s front three. If Dockett does not start expect to see Vonnie Holliday or Nick Eason step in at defensive tackle. Random Thoughts: It will be nice to get back to CenturyLink Field this week. It’s been too long… I will be tailgating in Pioneer Square this week. Once again, it’s been too long… The Seahawks will wear blue jerseys this week. Both teams will also be wearing a special “50 years of the Pro Football Hall of Fame” patch on their jerseys this week. There will also be Hall of Fame related festivities throughout this weekend’s game as well… Chris Myers and Tim Ryan have the call for FOX this week again. They called a good game last week but I’m glad I won’t have to listen to them this week… I will be praying that the Miami Dolphins will somehow beat the San Francisco 49ers this week. It would be nice to be ½ game out of first place after this week… The temperature at kickoff is supposed to be in the mid-40’s. Now I have a decision to make, blue season-ticket holder beanie or grey beanie?… The pregame giveaway this week is Seahawks cheer cards. Better than the alternative I guess… I am taking my friend Josh to the game this weekend. He is an Eagles fan by heart but a Seahawks fan by head. He is always a blast to go to games with because he is pretty passionate… The offense will most likely be introduced this week before the game. If they are not it may be because they will want to do the offense against San Francisco in 2 weeks in the event that game gets flexed into Sunday Night Football. 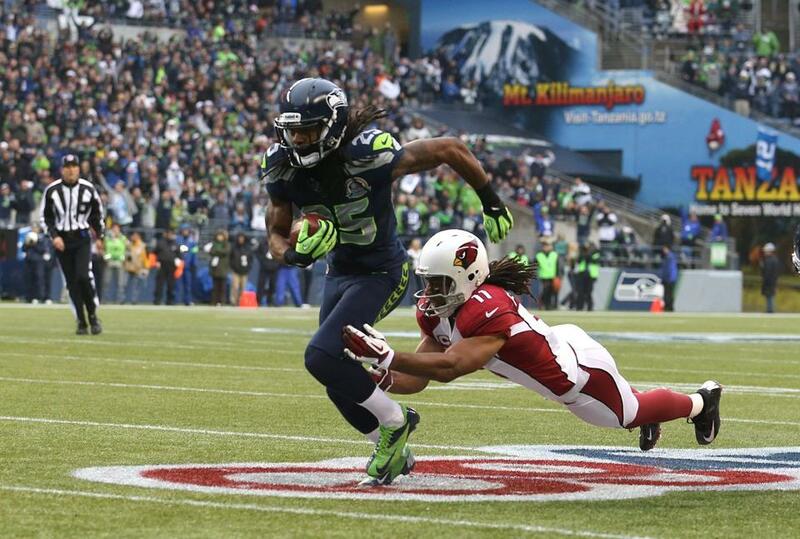 Prediction: The Seahawks will come out overconfident to start but will settle down in a hurry. The defense will record 4 sacks and pick off John Skelton twice, one of which will be returned for a touchdown. Russell Wilson will run for more yards than in any other game and will lead the Seahawks to a victory and an 8-5 record. I’ll be back on Monday with my review of the Cardinals game. Also, I am now out of school for the quarter so my hope is to get on more frequently during the week over the next 4 weeks. Stay tuned for that. Thanks for reading. Go Seahawks!